I installed this on my own with my Pops. Was quoted at $3K-4K to get it professionally installed. 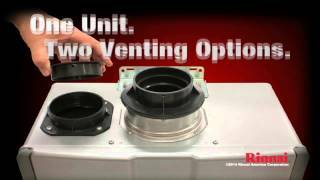 I specifically called Rinnai customer service about the warranty being void if it isn’t professionally installed and they stated that this was not true. 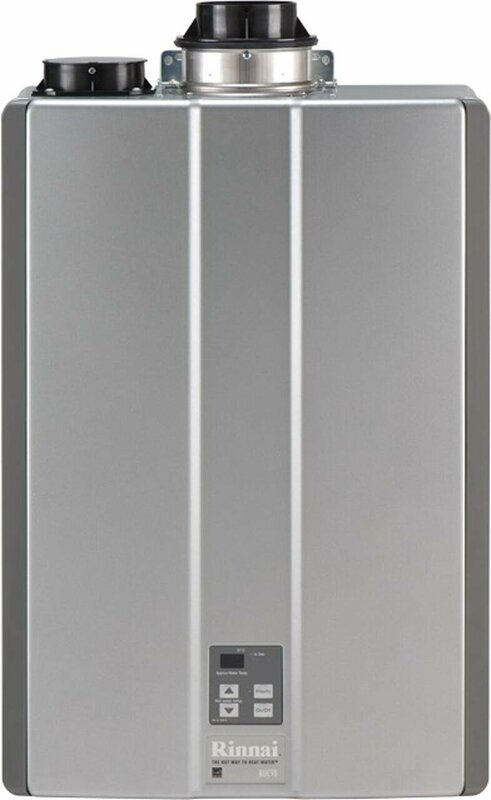 (although everywhere you look it says it should be installed by a professional) It is only void if it is found to be installed incorrectly. It was a ~$2K risk I was willing to take. The install was straight forward. Expect a couple trips to the local hardware store and some frustration but it truly isn’t that complicated. Just read through the manual, it is pretty in depth and helpful. Fired the machine up for the first time and it ran like a champ. Shut the water off and turned it back on – it gave me error code 11 and wouldn’t work again. Turns out my furnace (rated no more than .5 PSI) has been running on 2 PSI of natural gas for many years and the Rinnai was having none of it. It’s rated for about .1ish to .4ish. Bottom line is it’s worth a call to your local gas company to make sure you’ll have the right pressure and supply. Once I had the pressure adjusted, it worked immediately. It has been running as expected the last couple days. There is a slightly longer delay to get the hot water (worst case, 2 stories up, morning, takes about 50 seconds to get hot at the faucet). But, this is something you’ll want to come to terms with and for me, I’ll take the savings over time. But 50 seconds is worst case, most of the time I don’t even notice. I also did get the condensate neutralizer kit. Seems overpriced, but I didn’t want to risk damage to any drainage pipe/septic tank. We have a well and sediment is what got our last tanked heater so I do plan on flushing this device at least twice per year. I think that is what gets a lot of people. Need to maintain your equipment so it can help maintain you!Pros: Efficient, small, accurate temp control, “endless” hot water, informative manual, good customer serviceCons: Small increase in time it takes to heat water, very slight dip in water pressure2 YEAR UPDATE: Overall, I’ve been extremely pleased. I have had zero issues with this water heater. Some notes: – This thing absolutely sips natural gas. To put it in perspective, only two devices use gas in our home – The water heater and a ~25 year old furnace (yeah, it’s on its way out). During the winter our gas bill can be upwards of $90 for cold months. In the summer, when the only device using any gas is the heater, our bill is as low as $12 and that’s with an $8 flat fee. Every home and family is different – we only have two adults and no dishwasher. But, I’m very satisfied and believe this thing will pay for itself. 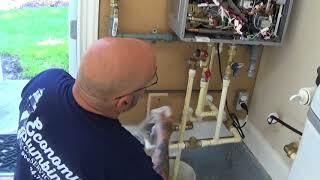 – I flush the water heater twice per year. This seems to work well. Personally, I wouldn’t want to do it less frequently. We have well water and it’s pretty hard. Once per year I will open it up and inspect the internals. – Speaking of a well… This is important information if you have one, too. If you’re familiar with how a well works, the well pump kicks on when the pressure dips below a certain threshold and pumps water into the system until the pressure rises to another threshold, then stops. The heater must adjust the burners as the pressure increases to keep the outlet pressure at a steady temperature. The heater tries hard to do this, but isn’t perfect. We have a shower probably 6 feet of pipe away from the outlet. In this shower, you can hear the well pump turn on and the pressure increases. The heater keeps up, but actually overshoots some. It’s not scalding hot, but it’s noticeable. So, it gets hotter for no apparent reason if you’re not expecting it. This is ONLY true for appliances/sinks/showers RIGHT next to the heater. We have another shower directly above (10-14ft of pipe?) and the temp change is non-existent. The temperature dissipates by the time it gets there. I don’t mind this, I actually kind of like it, but I completely understand if someone would be bothered by this. 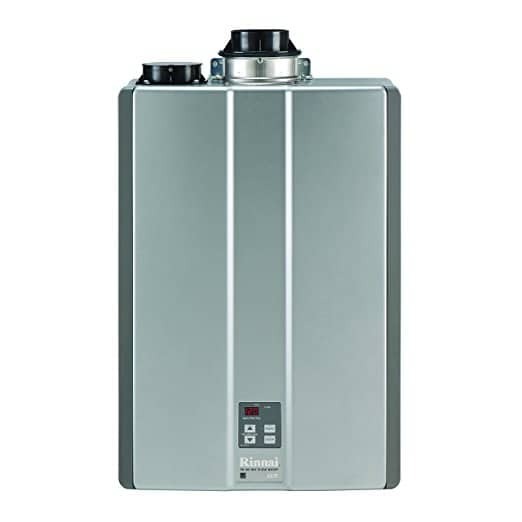 Rinnai has been installed for about a month now at 6500′ in Colorado. I did the install myself. I practiced swet pipe in the garage before I attempted the install. The install was not easy, but I completed it in about a day. If you are at altitude you will need to make some dip switch changes. Service valves were included in the box so I did NOT need the Webstone 50443WPR EXP Tankless Water Heater Service Valves.I replaced an existing water heater. Because the venting was not certified I had to replace it.There is a slight drop in water pressure. I noticed on my dual head shower, but not on the water saving heads. No issues running two showers at the same time. It’s very quiet. 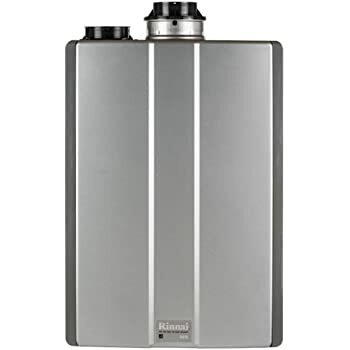 There wasn’t any significant change in how long it takes hot water to reach the 2nd story tap.Support from Rinnai was fantastic and answered all my questions within a few minutes of calling. 0 BG 44K Fuel System Cleaner Power Enhancer 11oz.